Even people who don’t like this book concede it’s well written. 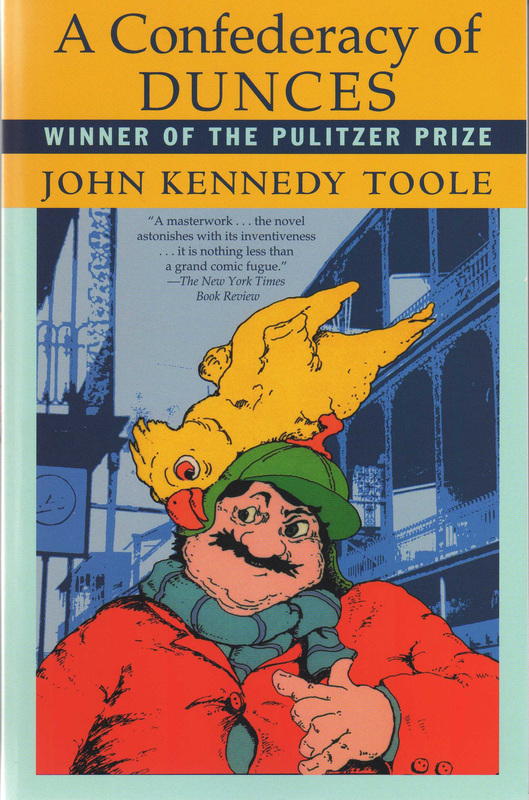 John Kennedy Toole’s A Confederacy of Dunces was on my reading list for a few years before I picked it up. I knew it had won the Pulitzer (which meant it was either brilliant or dry), but it remained unopened on my shelf. Then I read it in two sittings and loved it. It’s hard to explain how or why this book is so entertaining; it’s such an absurd story and, if you think about it too much, a very depressing one. Fortunately, Ignatius is so loud and melodramatic that thinking gets pushed to the side. Most of the laughs that come are of the ‘this is so ridiculous; I can’t believe it’ variety. Now, some people will find this side-splittingly hilarious. Others will find it crude. I can’t push you one way or another, but I can tell you that this is how most of the book runs. Ignatius has special contempt for expressed sexual desires, and many of his speeches blame sexuality in one form or another. Often, he runs about looking for innuendo so that he might have something to become incensed about; pop culture is a reliable fuse for him. The shift between the initial visual of Ignatius petting a gutter cat and the visual of Ignatius shoving the cat into the bun compartment and ‘persuading’ it to stay is brilliant. The reader is always treated twice: first to Ignatius’ ludicrous explanation of events, then to the truth which is just as ludicrous. But as hard as you might laugh, there’s the understanding that none of the characters have a place anywhere. Their situations are unlikely to improve. Toole handles these fluctuations between humor and melancholy with skill. A final note on the book itself: The manuscript surfaced after Toole committed suicide in 1969. In 1976, his mother began calling a teacher at Loyola who was initially unenthusiastic about reading it, but who quickly came to love it. Toole was awarded a posthumous Pulitzer prize for his work in 1981. Overall: 4.7 It’s kind of amazing. Translation: Read it. I even have a spare copy I can loan out/give away.